This entry was posted in Games on April 23, 2010 by godsized. Not only did Dan O’Bannon work on the computer effects for Star Wars, wrote the Star Beast script which later transformed into the original Alien, and wrote the screenplay for Total Recall. His biggest and best accomplishment, at least in my book, is writing and directing Return of the Living Dead, the zombie comedy movie that has a load of my favorite zombie moments including the tar zombie as my favorite. We will miss you Dan, thank you for everything. This entry was posted in Media on December 18, 2009 by godsized. According to website Gamasutra, major third-party video game publishing behemoth Electronic Arts has issued layoffs across its studios ahead of its earnings call this afternoon. Locations included in the layoffs are EA Redwood Shores, Tiburon, Mythic, and Black Box. Sources have indicated that this year’s cuts have been more substantial than in years past. The company is likely to make an official announcement in its quarterly earnings report, later today. This entry was posted in Games on November 9, 2009 by godsized. This picture of Carrie Fisher and her stunt double tanning on Jabba’s sail barge during a break on Return of the Jedi might be one of the best pics of all time, at least from a geek standpoint. This entry was posted in Games on November 6, 2009 by godsized. Touring with his band thenewno2, Dhani Harrison the son of Beatle George Harrison is still working with Harmonix after his work bringing The Beatles: Rock Band to the shelves. Do people really want to learn to play instruments in their video games? This entry was posted in Games on November 4, 2009 by godsized. 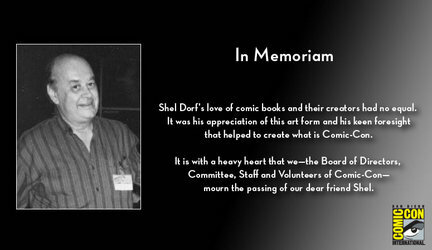 Sheldon Dorf, the founder of Comic-Con International, passed away in San Diego on Tuesday November 3, 2009 of kidney failure. He had been hospitalized for the last year due to complications of diabetes, according to the AP. Dorf started Comic-Con as the Golden State Comic Book Convention in 1970. The show started as one-day event and grew into the four-day 125,000 person multimedia extravaganza that we know today. Dorf stayed well connected in the comic book industry and eventually became estranged from the convention he founded and ran for 15 years. Ours thoughts and prayers are with his family and friends. This entry was posted in Media on November 4, 2009 by godsized. IGN reports that Nintendo CEO Satoru Iwata at a recent earnings meeting told investors that testing of a new WiiWare demo service could start as early as the end of month on a few select titles. Nintendo is using this test to see if more players will start surfing through and downloading products on the Wii Shopping Channel. Iwata also noted that the majority of WiiWare consumers navigate to games and products they only intend to purchase. A WiiWare demo program has not been officially confirmed by Nintendo nor has a start date, what titles would be included, or if the demos would be available only in Japan or worldwide. 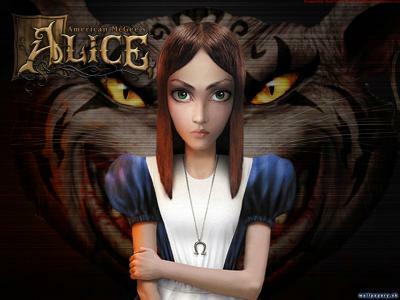 EA head honcho and big cheese John Riccitiello has stated that the sequel to “American McGee’s Alice” is in the works for PC and Consoles and it’s looking as if we have a trailer to go with said statement. Chinese developer Spicy Horse is heading up the development of the sequel to the 2000 cult title. It appears to continue the story of a mentally disturbed young Alice and her adventures in a twisted and gothy version of Lewis Carroll’s original Wonderland. Even though the games title is up in the air, the trailer looks and feels like the original Alice game. I’ve got high hopes that Spicy Horse is up to the task and really goes the distance with this one. This entry was posted in Games on November 2, 2009 by godsized.